Jim Weirick grew up on what is today West Shore Drive, near Lake Maxinkuckee's outlet and the railroad crossing that once stood in that area. 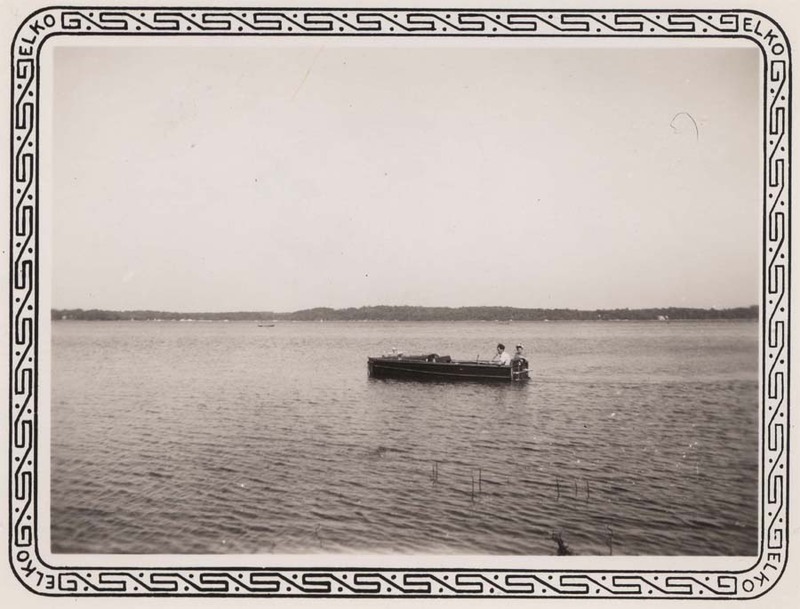 Jim loaned us the photos that follow, which present an interesting picture not only of his own family, but of the lake, the railroad, the outlet, Long Point, and the businesses in the area. 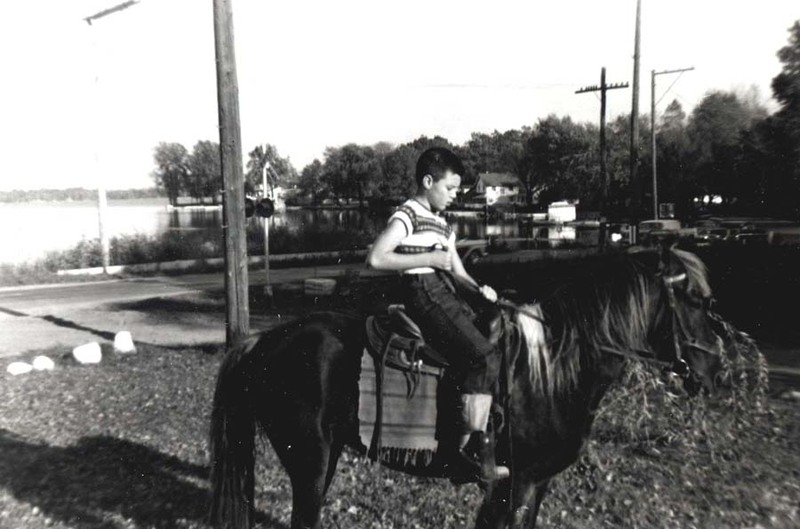 Jim Weirick of Culver is seen here as a young man, atop his horse near his childhood home on the west shore of Lake Maxinkuckee. Visible in the background are several area landmarks: Long Point as it appeared in the 1940s and the railroad crossing signal lights from the days when the Vandalia line crossed West Shore Drive. The Weirick family pier is the foreground of this photo from the Jim Weirick collection taken between the 1940s and 1960s. This shot was taken from West Shore Drive just south of Culver's Masonic cemetery. Long Point is visible in the background. Members of Jim Weirick's family standing on the bridge over Lake Maxinkuckee's outlet, with Long Point in the background. 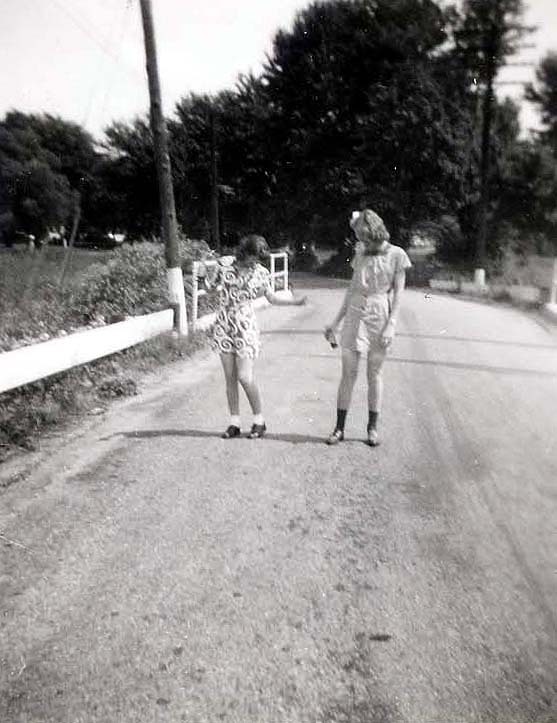 This photo was probably taken in the 1940s from today's West Shore Drive. The railroad crossing just north of the Lake Maxinkuckee outlet on West Shore Drive, just south of Culver's Masonic cemetery. This photo was provided by Jim Weirick, whose childhood home (and now adult home, though on a different parcel!) was nearby. 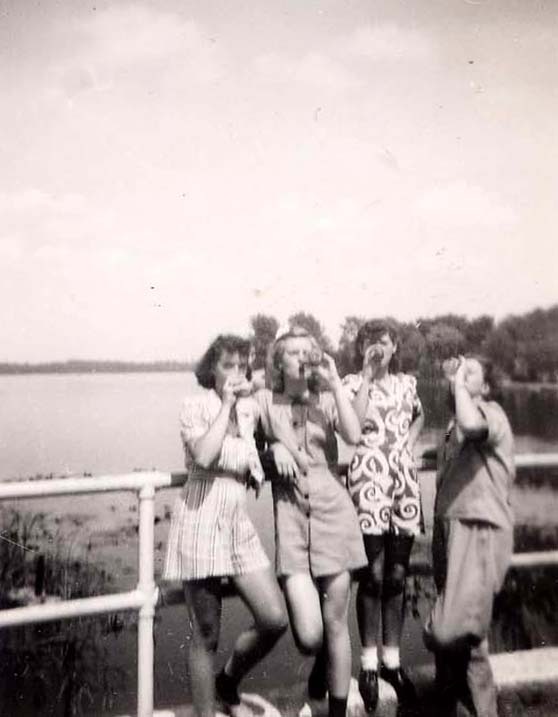 This photo was taken in the 1940s. Members of Jim Weirick's family on West Shore Drive just south of Culver's Masonic cemetery. In the background is the bridge above Lake Maxinkuckee's outlet. 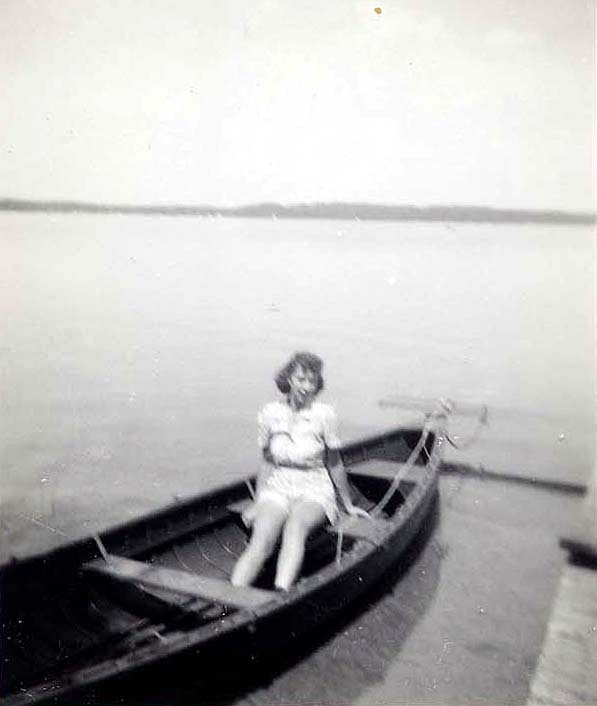 A photo from the Jim Weirick collection, probably taken in the 1940s. 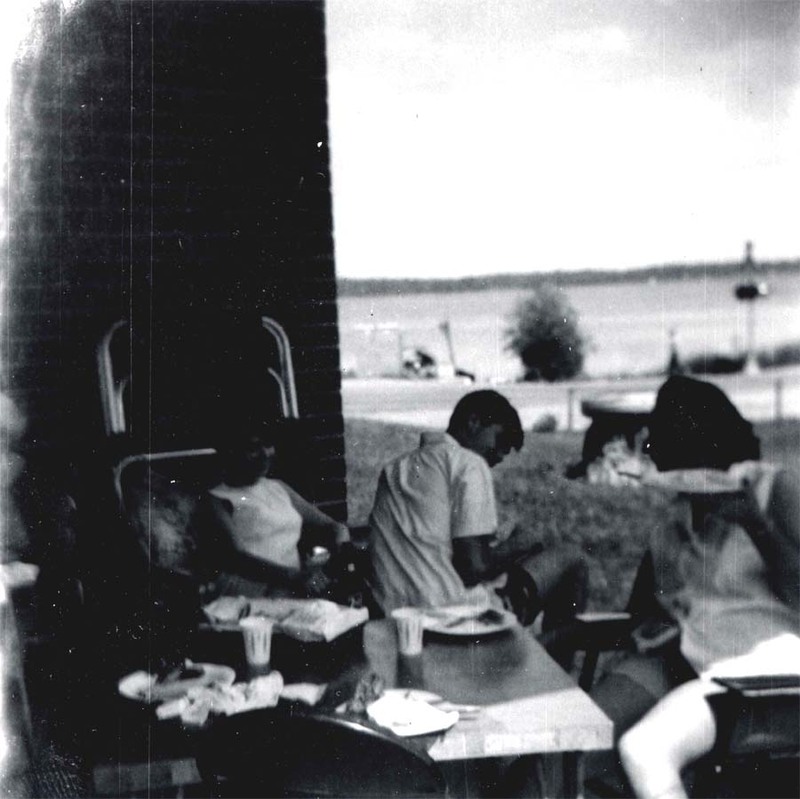 An October, 1965 photo from the Jim Weirick collection taken from the family's home on West Shore Drive. In the background is Lake Maxinkuckee and the railroad crossing signals from the Vandalia line. 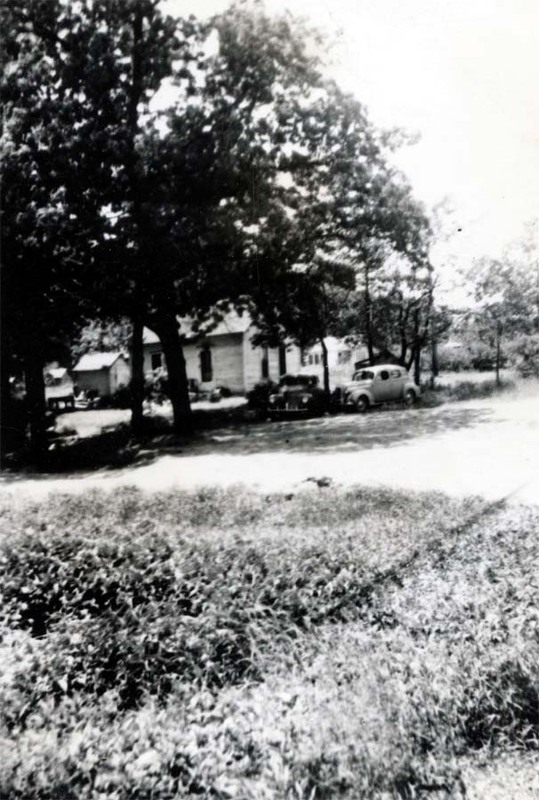 The Vandalia railroad tracks can just be seen in this 1940s photo of Jim Weirick's childhood home on West Shore Drive. 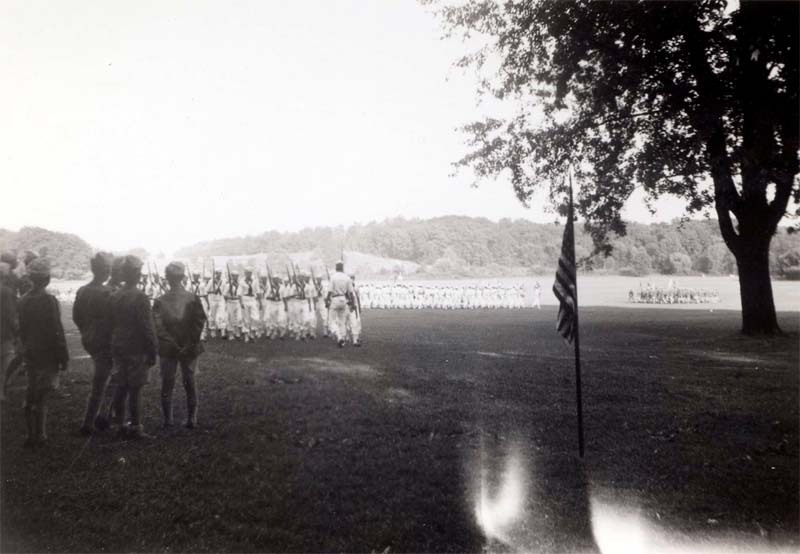 Two photos of a 1940s parade from the Culver Academy's summer school, from the Jim Weirick collection. 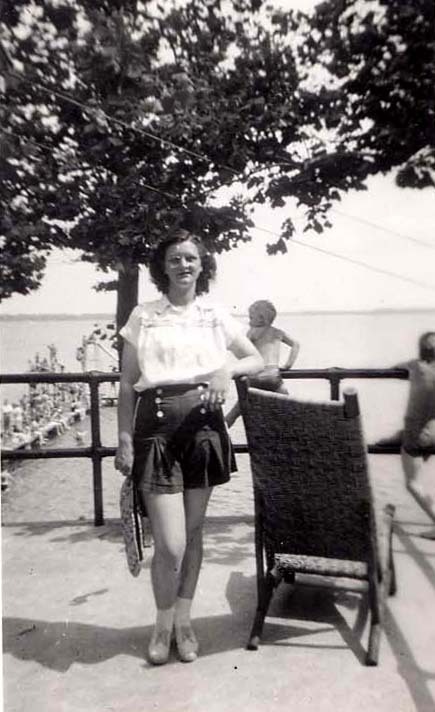 Behind Jim Weirick's mother in this photo from his collection is a 1940s view of Lake Maxinkuckee, taken from the porch of the beach lodge in Culver's town park. 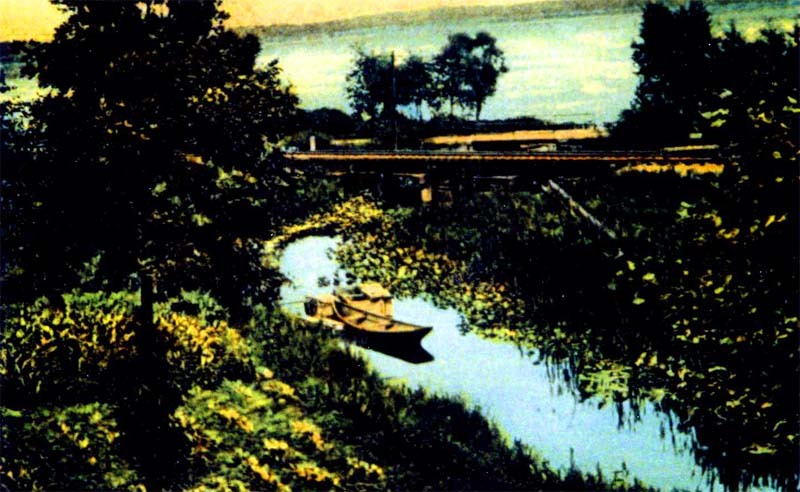 One version of an early postcard depicting a sweeping view of Lake Maxinkuckee's outlet on the West Shore of the lake, with the Vandalia railroad bridge going over the stream. This shot was taken from the property owned today by Jim Weirick, who loaned us this image. This photo was probably taken prior to 1920. A member of Jim Weirick's family on West Shore Drive just south of Culver's Masonic cemetery. 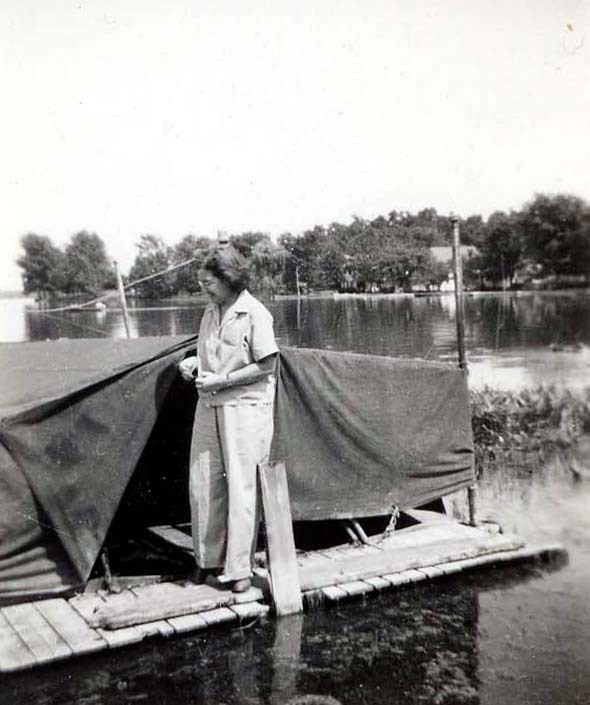 In the background is the bridge above Lake Maxinkuckee's outlet, as well as a partial view of Long Point at the time. 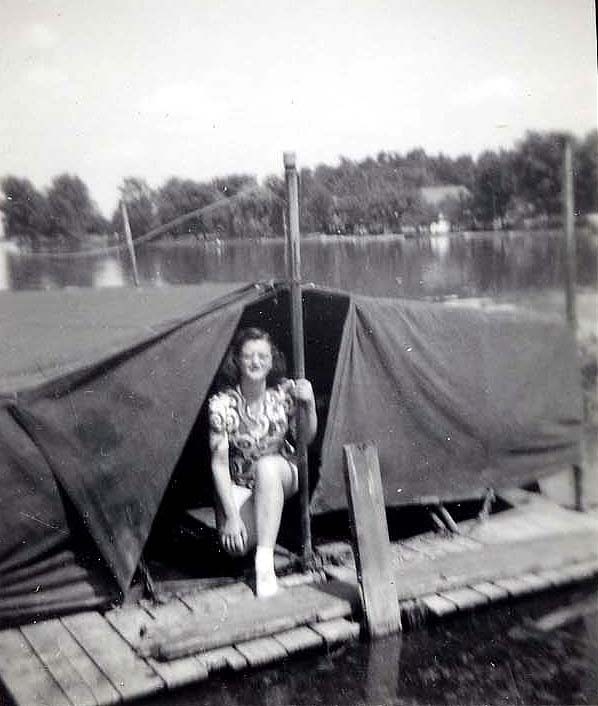 A photo from the Jim Weirick collection, probably taken in the 1940s. 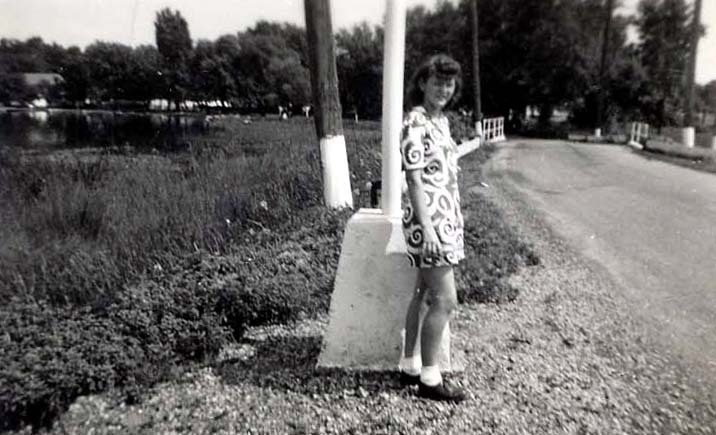 Jim Weirick of Culver shared this photo of his mother posing near their home property on West Shore Drive. 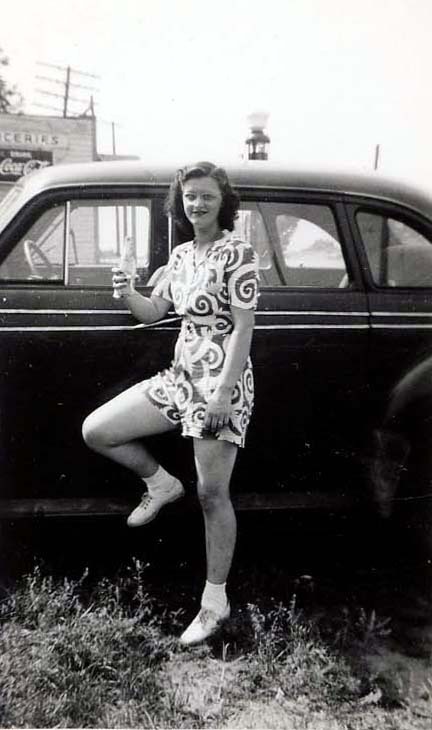 In the background, to the left above the car can be seen a corner of a small grocery and convenience store that Jim recalls once served passengers traveling on the Vandalia railroad line just north of Long Point. The building was later converted into a private home that still sits there today, at the curve that junctions South Street and West Shore Drive, west of the corner of Culver's Masonic cemetery. Member of the Weirick family in a rowboat near the family pier on the West Shore of Lake Maxinkuckee, near the lake's outlet. 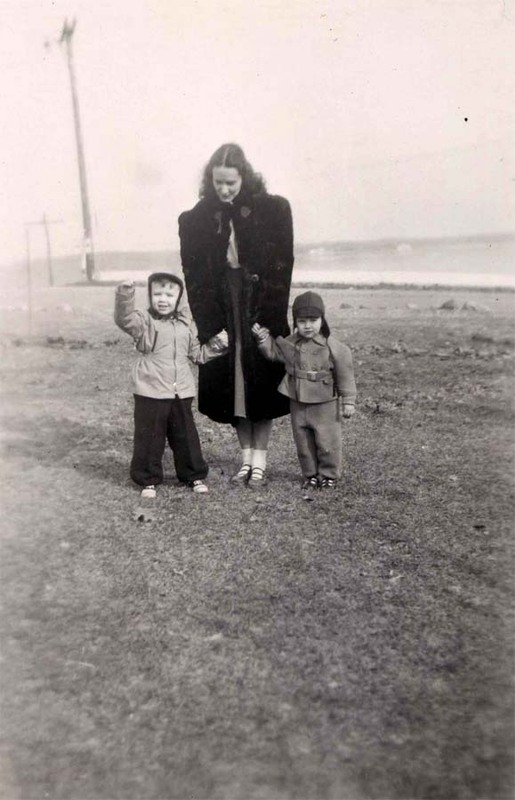 A young Jim Weirick with his mother and a young friend, posing on West Shore Drive with Lake Maxinkuckee in the background. 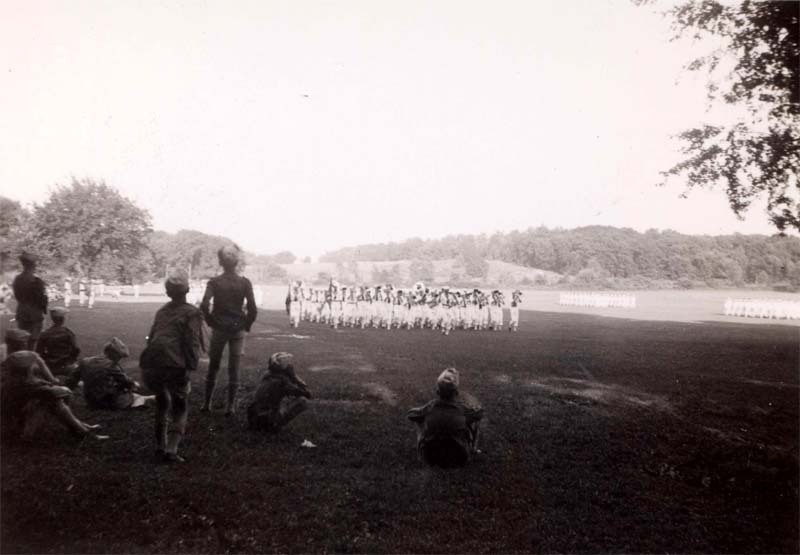 A 1940s photo from the Weirick collection. 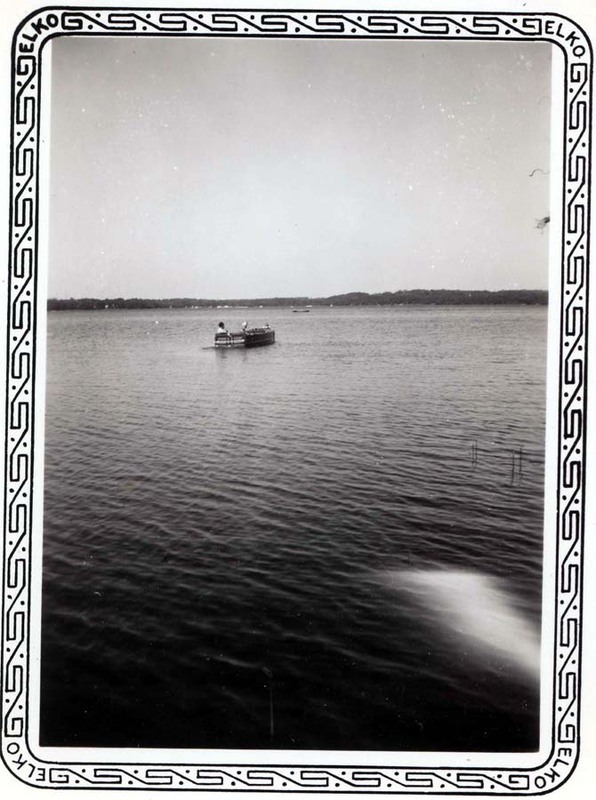 These photos of boats on Lake Maxinkuckee from the Jim Weirick collection were probably taken from the West Shore in the 1940s. 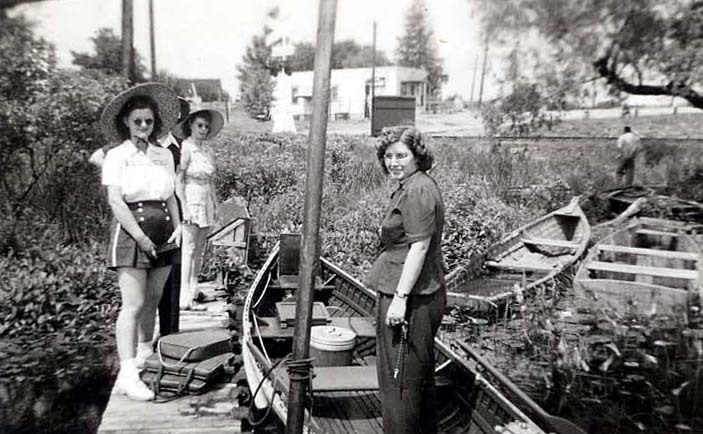 Members of Jim Weirick's family in a 1940s photo from the West Shore of the lake. Visible in the background is the Vandalia railroad line and a convenience store that Jim says was once used frequently by passengers on the trains, which stopped here to allow snack purchases. That store has since been converted into a house, which is on the West Shore Drive curve just south of the Masonic cemetery. 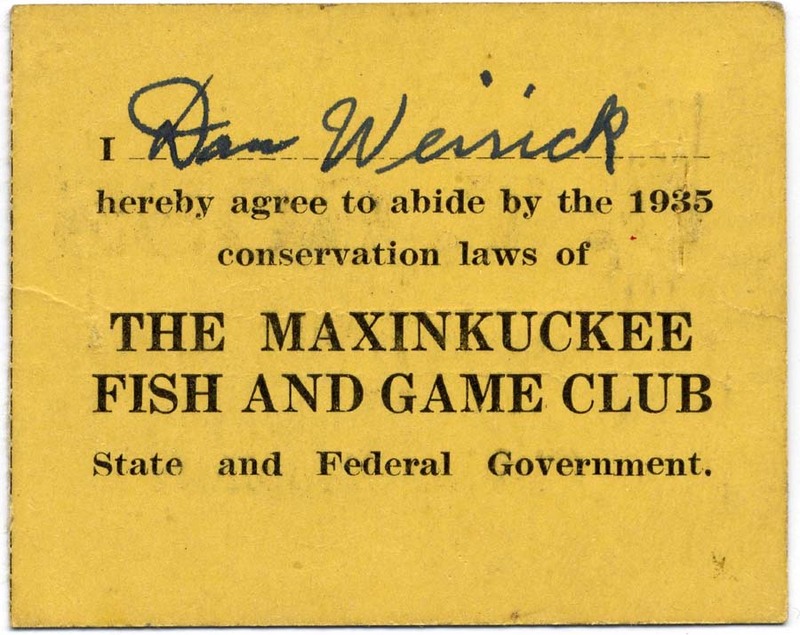 An artifact from Jim Weirick's collection showing both sides of his father, Dan's membership in the Maxinkuckee Fish and Game Club, from 1935. The card was purchased at O.T. 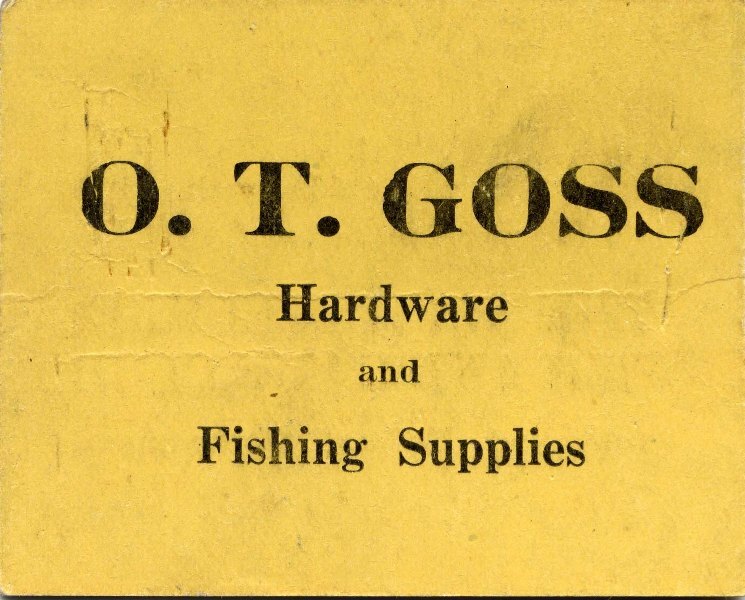 Goss's hardware (more recently owned by Bill Snyder in the same location) on South Main Street. A wonderful and rare photo of D.W. Miller's livery stable and auto garage, which was located on today's Lake Shore Drive at the site of Culver's City Tavern restaurant, in the 400 block of Lake Shore Drive near its intersection with Harding Court (at the time, Lake Shore Dr. was Toner Avenue). This photo, from circa 1914, provides an interesting peek into a transitionary period between the days of horses and the prominence of the automobile. It is also a predicator of a well-known Culver business to come, which was located in the same spot: the A.R. McKesson Ford garage. That building, which has changed hands many times since it was the McKesson garage, is the same one which houses the City Tavern and other businesses today. Thanks to Jim Weirick for the use of this photo. 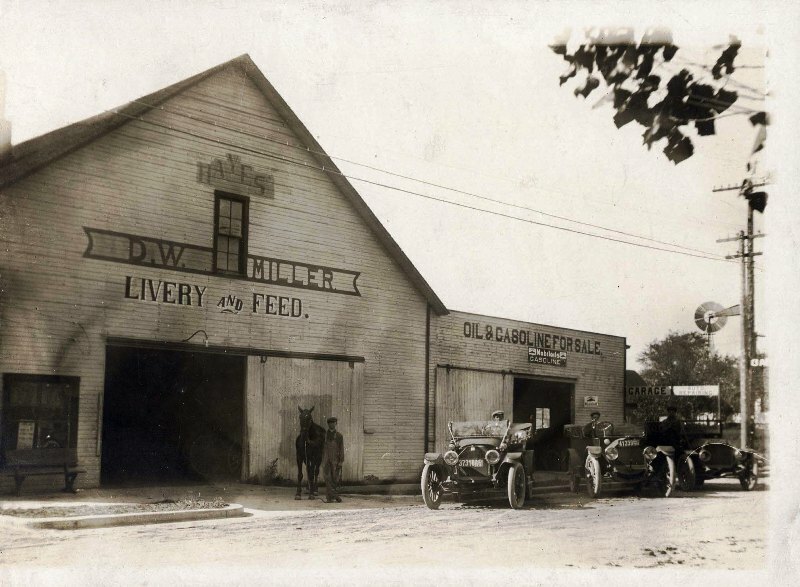 D.W. Miller, owner of the D.W. Miller livery and auto garage on today's Lake Shore Drive (then Toner Ave.) in the 400 block where today's City Tavern is located. 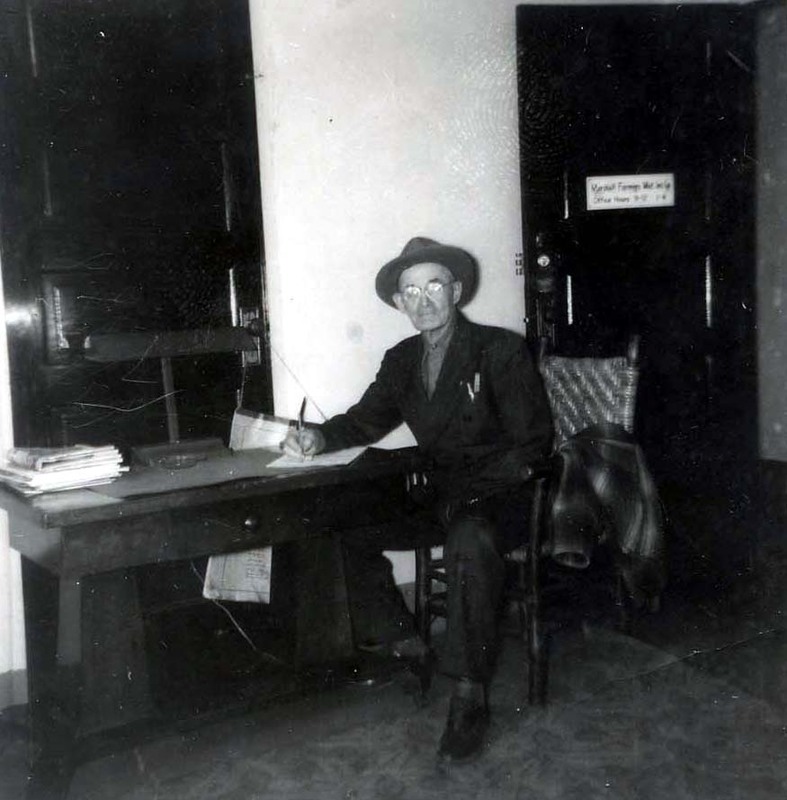 This photo of Miller -- an ancestor of Jim Weirick -- is part of the Weirick collection and was probably taken in the teens or 1920s. 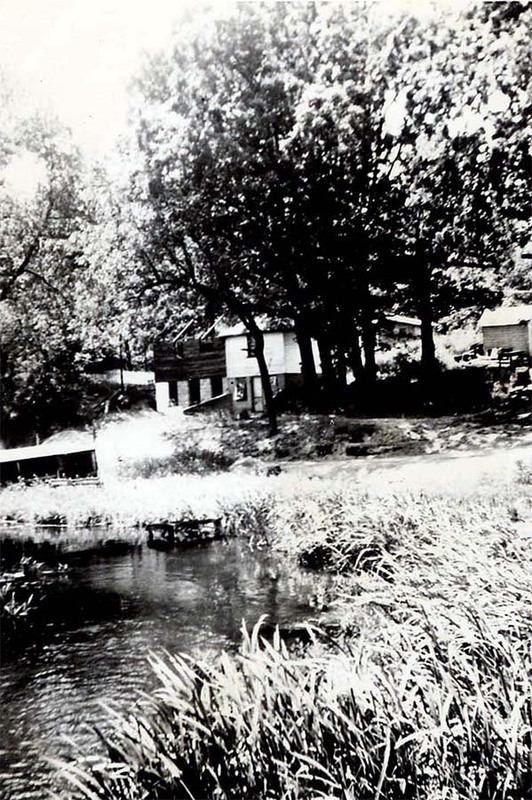 Interesting 1940s view of Lake Maxinkuckee's outlet, with the house in the background that is today owned by Jim Weirick, who provided this photo. This shot was probably taken from today's West Shore Drive with Lake Maxinkuckee behind the photographer.